Phyto-Biotic™ / 60 Veg Caps - Nature's Way®. 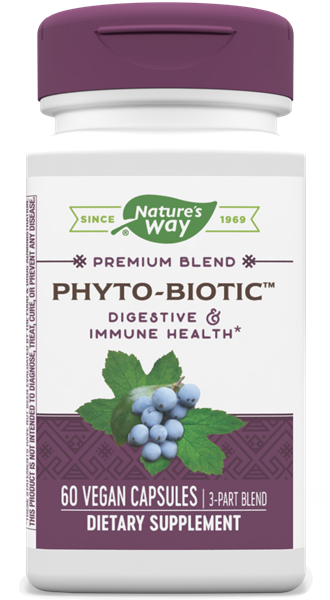 Phyto-Biotic™ includes extracts of barberry, Oregon grape, and goldenseal - all excellent sources of a compound called berberine. Do not use this product if pregnant or nursing. If you have diabetes or are taking any medications, consult a healthcare professional before using this product.